If a blog post is published but no one reads it, does it still count as content marketing? If your content isn’t being read, it may as well not even exist. There’s no point in investing time, effort, and resources into creating quality content if no one knows it’s there. You have goals for your content, whether you’re trying to boost brand awareness, capture more leads, get new subscribers, or make more sales. But in order to reach those goals, you need that content to reach your target audience. You can do that easily and efficiently with content distribution tools. The tools below will save you time and amplify your reach by automatically distributing your content to interested readers. 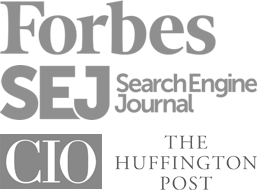 Here are the ten most popular tools you can use to make sure your content is doing its job. With Outbrain’s Amplify tool, you can have your content appear as recommended links on premium websites including CNN.com, Slate, and ESPN. The more traffic and interest your content gets, the more it will be recommended, and they also provide testing and conversion tools for you to optimize your content for sharing. Outbrain Amplify reaches an audience of 561 million per month, and it’s used by big brands like GE, Ford, and The New York Times. 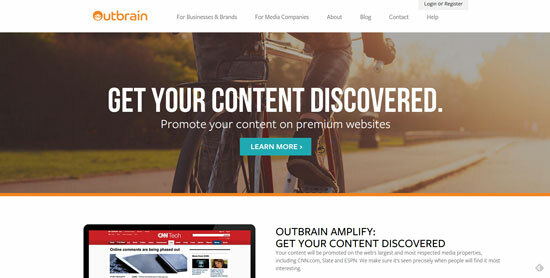 Outbrain has somewhat stringent content guidelines, so be sure to review those before you sign up to make sure your content is a match for their program. Outbrain has a name-your-budget CPC pricing model with a minimum budget of $10 per day. 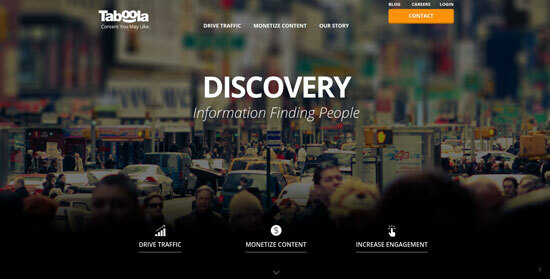 Taboola is a content discovery platform that recommends your content on quality third-party sites. Once a visitor clicks the link to your content, they’ll view it on either your website, a third-party site, YouTube, or on social media. They can then buy your products, subscribe to your newsletter, or any other goal you set up. Taboola also offers analytics for performance statistics and campaign optimization, and one-on-one expert support to help you achieve your marketing goals. Their website contains free resources on content discovery for beginners, best practices for sponsored content, videos and webinars, and other helpful content. Gravity is a content distribution platform whose goal is to personalize the Internet for readers. They accomplish that with their Interest Graph technology, which organizes content by commonly related interests, and analyzes your content to ensure that it’s only shown to interested readers as personalized recommendations. Besides displaying links to your content on third party sites, they also offer a free browser extension to readers that will recommend your content as they browse the web. Zemanta automatically aggregates and indexes your content for you, and distributes it as promoted recommendations, in-stream ads, in-text links, and sponsored content on third party sites. Through your Zemanta dashboard, you can set up content campaigns and get analytics on your content’s performance and effectiveness. They analyze your content and their distribution platforms to match your content with interested readers, keeping your engagement high and bounce rate low. They’ll also take care of managing your campaign, testing, and adjusting bids for you. 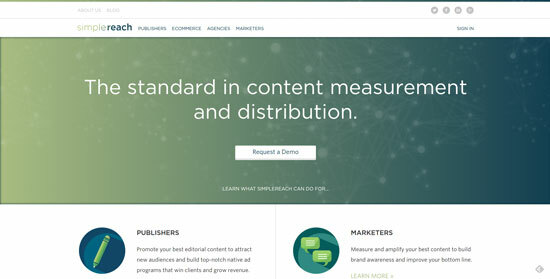 SimpleReach is a platform for content measurement and distribution. With their measurement and analytics tools, you can get insight into how your content is performing across the web in real time. They also have a predictive analytics tools that will predict which content will perform the best. SimpleReach’s strength is in their predictions and real time reporting. Their Predictive Score tool acts within minutes of publication to tell you which content will get the most traffic and engagement, allowing you to focus your efforts on the content with the most potential. 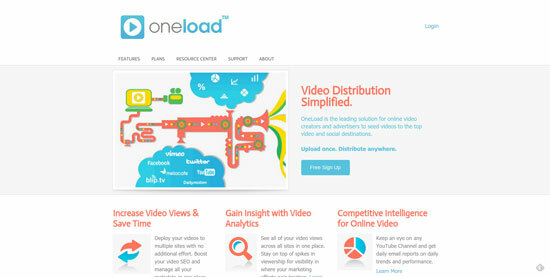 OneLoad is an online video distribution platform. You just upload your video to OneLoad, and it gets automatically distributed to over 20 of the most popular video sites, including YouTube, Vimeo, Hulu, Viddler, and more. You can also set up your own distributions to custom FTP sites, niche video sites, content delivery networks, etc. OneLoad takes care of transcoding your video to the correct file format for each site, and there’s plenty of room to upload large files. Their analytics dashboard tells you how your video is performing across all distribution sites. Other features include launch and recall scheduling, bulk distribution, keyword tagging, grouping videos for aggregate analytics, and more. 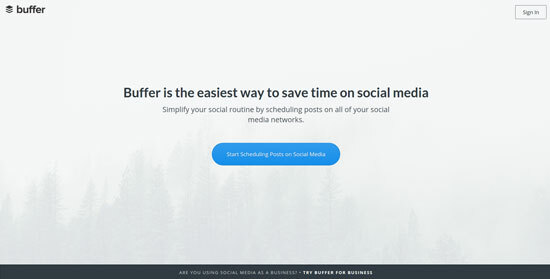 Buffer saves you time on content distribution with their tools for scheduling social media updates. Using Buffer, you can connect all your social media accounts and schedule content distribution across all channels at optimal times. You also get analytics on your content’s performance across all your networks. Buffer’s plans start at $10 per month, and they offer 50% discounts for non-profits. 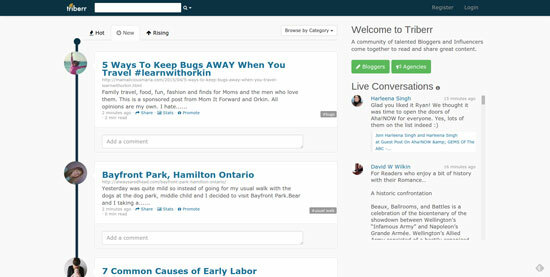 Triberr is a social network for bloggers and influencers to share each other’s content. Members join tribes with similar interests, and can then share content with the group for comments and social media shares. Triberr is free to join, and there’s also a premium plan for $10 a month that grants you access to larger tribes and more features. Triberr also offers Influencer Marketing Campaigns, which connect you with social media influencers you can hire to share your content to your target audience. Campaigns last 30 days, and you pay the influencers directly — Triberr doesn’t change any fees for the service. GaggleAmp is a social media marketing platform that empowers your employees, partners, and customers to help distribute your content. You gather together a group of people (called a “Gaggle”) who agree to share your company-written messages, tweets, and updates on their social media accounts. GaggleAmp is great for distributed organizations with local branches or chapters, since you can coordinate what messages are shared and keep your brand voice consistent. GaggleAmp also provides full analytics on Twitter, Facebook and LinkedIn activity, and reports ROI for your traffic, revenue, engagement, and other goals. 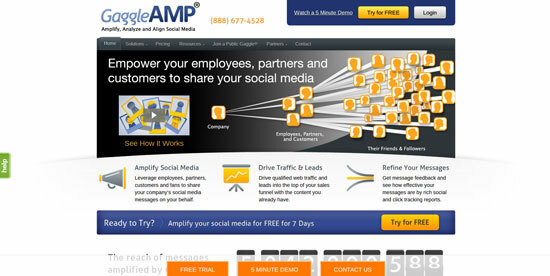 You can contact GaggleAmp to set up a free trial. Zapier aims to save you time by connecting all your web apps and coordinating and automating tasks between them. They support over 300 apps including MailChimp, Dropbox, Twitter, Salesforce, Gmail, and many more. Once your apps are connected to your Zapier account, you can set up “Zaps,” or automatic events with triggers. For example, you could set up a Zap that sends you a text message whenever you get a new email, or one that automatically creates a new lead in Salesforce when you get a new Wufoo form entry. From your Zapier dashboard, you can manage your apps, monitor activity, and turn Zaps on and off. Zapier can be used to automate your content distribution, since it integrates with many of the most popular social media networks, and a variety of CMSes including WordPress, Blogger, Drupal, and Joomla. 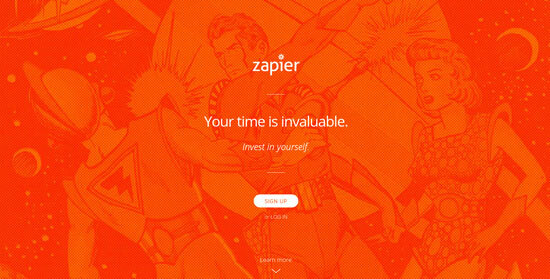 Zapier has a limited free plan available, and their premium plans start at $20 per month. IFTTT (which stands for “IF This, Then That”) is a popular free alternative to Zapier. Their service is limited to just under 200 apps (or “Channels”). How are you connecting your content with your target audience? Share you favorite tools below.